iPhone lens kits may seem like an usual topic, but there are some great reasons to pay attention to these accessories. At the New York Film Academy, our photography programs offer an in-depth investigation and exploration of the artistic and technical skills required to take your photography work to a professional level. Our programs focus on the practical elements of photography and train our students in the proficient use of the most state-of-the-art cameras and techniques in their field. Yet, it’s very practical to acknowledge that many amateur and professional photographers these days are also using their personal mobile devices to snap pics, whether for personal or experimental use. So why not find creative ways to apply what you’re learning in photography school to every picture you take with the same passionate level of thought and care, even if you’re simply using your iPhone? While an iPhone camera is no match for a Canon, Nikon HDSLR, or SONY mirrorless camera, we realize that personal iPhone photography is a large part of many of our lives. After all your hard work in photography school, you’re probably longing for ways to bring some of what you’ve learned into every aspect of your life. So we’ve compiled a list of some lens kit ideas to help you bring your photography school mindset to your iPhone photography. The results of this low-fi solution are consistently surprising, so if you want to experiment with your iPhone photos, scroll on to discover seven iPhone lens kits that represent the best value for money. All iPhone lens kits featured below are compatible with the iPhone 6/6s and Plus models, and usually fit on any model of phone. We listed Amazon prices for guide only – NYFA is neither compensated or endorsed by Amazon or any manufacturer featured. 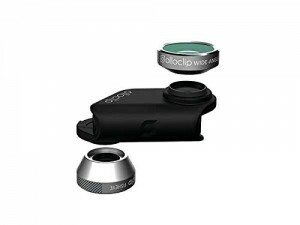 A sturdy piece of kit with billeted aluminium casing, the Photojojo 3-in-1 lens package is very well thought-out. Simply affix the mount onto the phone (it’ll work with any phone, even with a case) and switch out the lenses as needed – the mount itself converts into a small carry case. 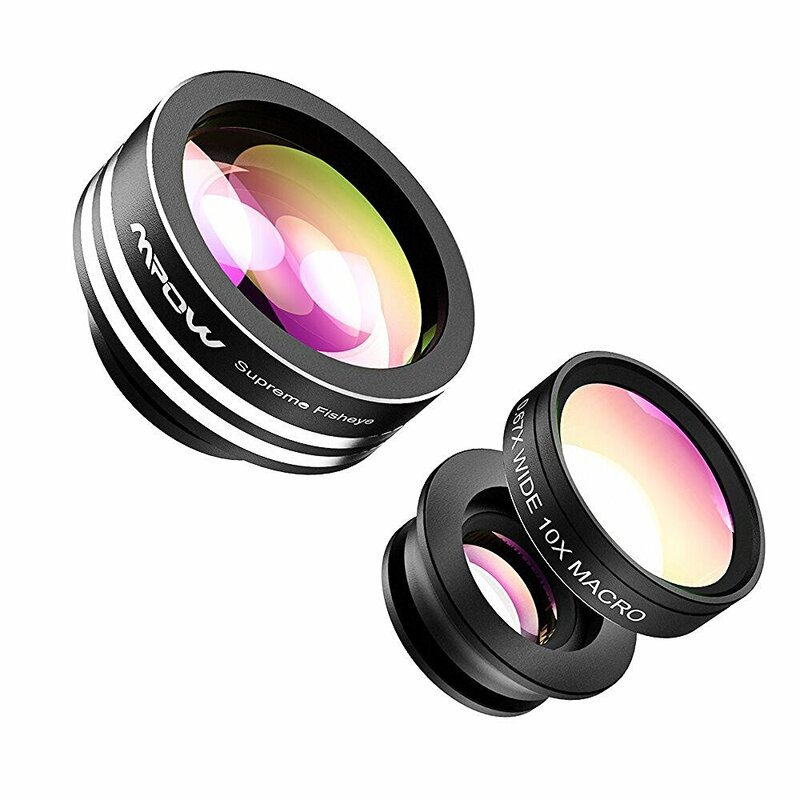 A 3-in-1 lens kit for under $15? You read that right. And not only is it easy on the wallet, it’s also ridiculously good in the quality department too, fitting beautifully close to the iPhone’s camera (and presumably Android models also, though we’ve not tested that). The image quality is superb thanks to the high-clarity glass and that perfect fit, though the clamp system — while efficient in terms of easy removal — can get in the way a little bit. 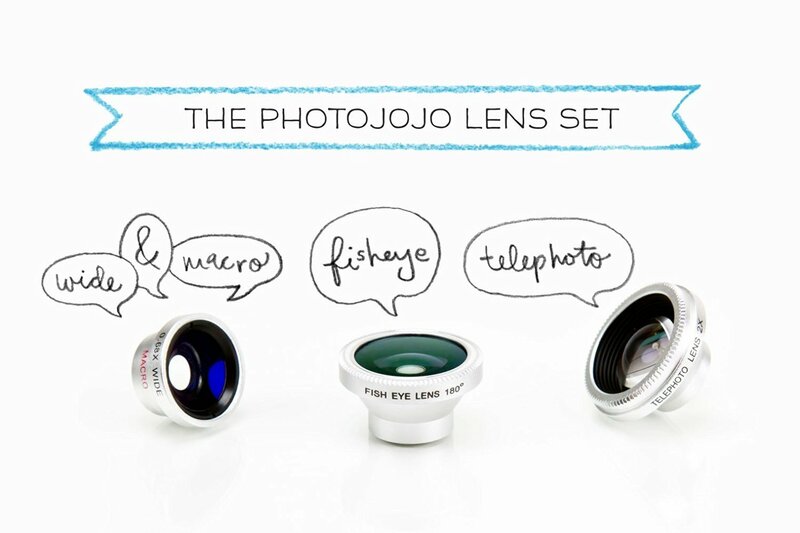 Another excellent product from Photojojo, and it’s a shade cheaper than the Iris set listed above. 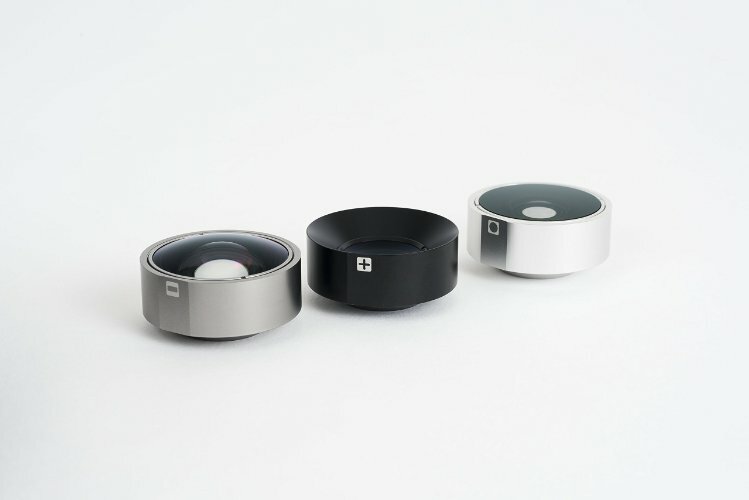 The difference between the two is that this Cell Lens pack attaches to your phone magnetically (with or without case), and are cleverly designed to not cover your phone’s in-built flash. We’ve not seen a difference in image quality between the two sets during testing — all three lenses offer a remarkable level of fidelity and sharpness. Downside: while the magnets are strong and won’t damage casing, they will slip or fall off completely if knocked and therefore may not be suitable for rigorous shoots. We also cannot guarantee that the magnets won’t damage other models of phones outside of iPhone/Android (some phones have their own magnets around the camera lens for image stabilization). It’s one of the more expensive iPhone lens kits on this page, but it’s also the only one that has won awards. And rightly so. With each lens weighing in less than an ounce, this is unparalleled image quality combined with a quick on-off action thanks to the clip (and it also covers the front lens, too). Additionally, it comes with three wearable pendants to keep the whole kit easily accessible. A very elegant, secure design that features some really impressive optics. The only con is that this one is iPhone 6 only. You’d be hard-pressed to find a more all-encompassing lens kit at a cheaper price. Given the amount of equipment that’s thrown in, the CamKix package offers outrageous value for money (we love that telephoto lens!) but it’s not quickly deployable – you need to affix the hard case before you can add a lens, and you’ll probably want to use the tripod for telephoto stabilization. On the plus side, that does mean it’s compatible with all phone models. There is no replacing the quality and artistry of images you can create with your Canons, Nikons, or SONYs, but we hope this has given you some ideas for your mobile pics. Have you found creative ways to apply what you’ve learned in photography school to mobile devices or your personal image making? Let us know in the comments below!